The closest I ever wanted to get to him was several rows away in English class. We’d never spoken, but of course I heard the stories about his family. I know they’re dangerous. I know he’s dangerous. Vince never had a reason to notice me, anyway—until I inadvertently witnessed his first mob hit. His family doesn’t believe in leaving witnesses alive, but Vince seems different. He knows the best thing he can do for me is stay away, but something keeps drawing us together. Despite knowing the risks of getting mixed up with him, I can’t resist. Only problem is, Vince is a package deal—you don’t get him without getting swept up in his family’s dark games. Now entangled with a notorious Chicago crime family, will my life ever be mine again? Note: This is NOT NA romance. **Obligatory trigger warning: While not wholly dark, this is at its core a DARK ROMANCE. There are no knights in shining armor to be found here. Sensitive content not recommended for those under 18, or those who loathe the dark romance genre. Found this book scrolling through Kindle unlimited. SO HAPPY that I clicked on it. It's a fantastic start to a truly brilliant series. Bought the entire series after reading this book because I had to know how it plays out. I have not been disappointed. Sam's writing makes you feel invested in the outcome of her characters future's. 5.0 out of 5 starsTop of the list of my favourite series!!!! I was hooked on this story right from the first page! Right from the start, the setting is encapsulating. I felt so connected to every character, I understood them and the thoughts going through their minds, what made them tick and why! Even after the (perceived) horrid & terrible actions of the MC’s I found myself still rooting for them! I have read further into the series and the plot has simply gotten better, which again is brilliant as book one was a doozy and usually it appears hard to back that up! These are some of the best books in this genre I have found possibly since the Undeniable series by Madeline Sheehan, and these have held top spot for me for a long time on my unforgettable list! Definitely some triggers and not for the faint hearted, but what would you expect from the Mafia World! Mia sees something that she shldnt and Vince is a mob guy. He ends up kind of stalking her at skool and breaking into her house all because she saw him walk out of her neighbours house that burnt to the ground. She ends up moving in with him and that's were all the drama happens. Things I didn't like wld be her mum. Her mum seems like an idiot, always working and when she's not she's at a bfs house while Mia has to look after her brother and sister, she drives them both to and frm skool and her mum wants her to get a mob to help out.so when the big boss mob guy asks mia' s mum if she can move in and he will pay her the bloody mother says yes, like seriously who does that, I was neva sell my kids. The mother was even excited about meeting the mob boss. She's an idiot. 5.0 out of 5 starsAwesome read! Holy smokes batman!!! This was a fantastic read! I was completely sucked into a world, where you don't know who to trust, nor is anything what it seems! Some characters I absolutely loved, while others I felt were overshadowed, and some were just meh. The storyline flowed extremely well, with plenty of twists and turns. If mafia is your thing, you will definitely want to read this! take the warning seriously when it says that it's a dark romance. if you like that style you will love this book if not do not read as it does get dark for the main couple. 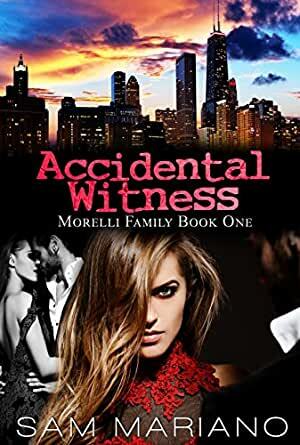 i loved the writing of the author as it was so easy to read i just have a few disappointments about what the Mia chooses to do and tell her boyfriend. i enjoyed this book but will not be continuing with the series.